This unpublished and elegant wooden Altar was probably conceived for a lady, intended for private devotion, as suggested by the precious and luxurious character combined with the shape and the size of the object. 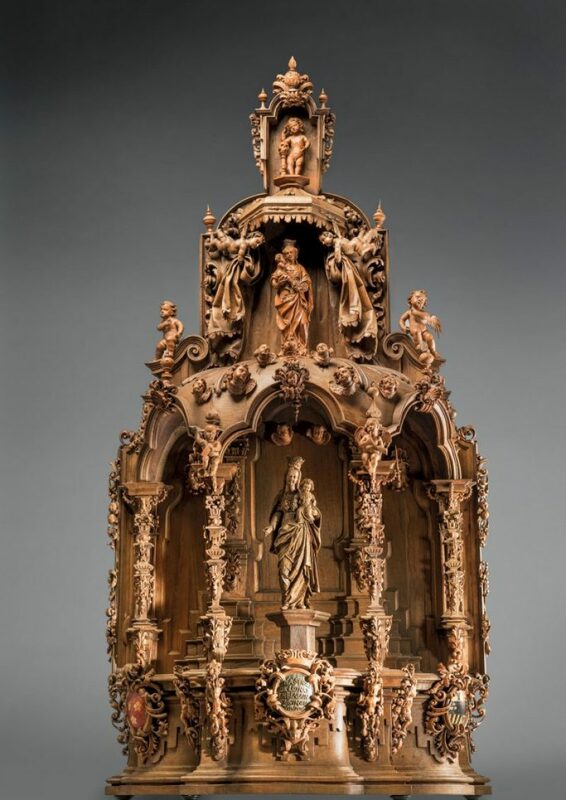 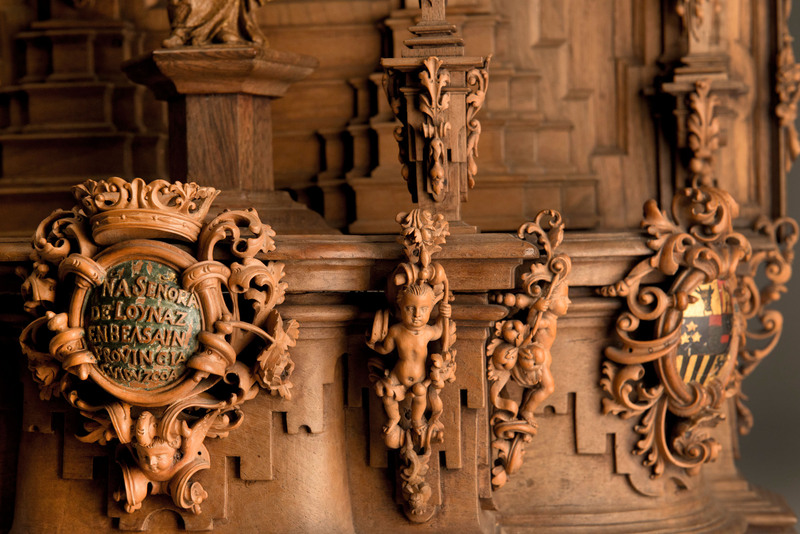 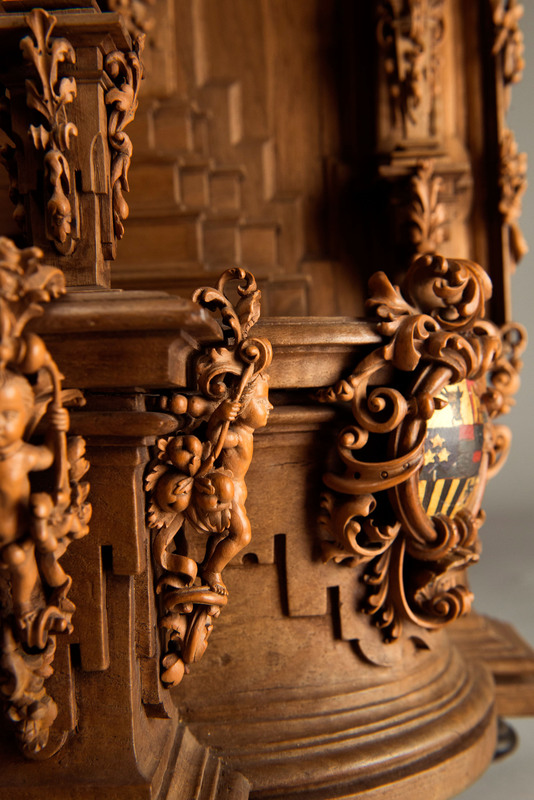 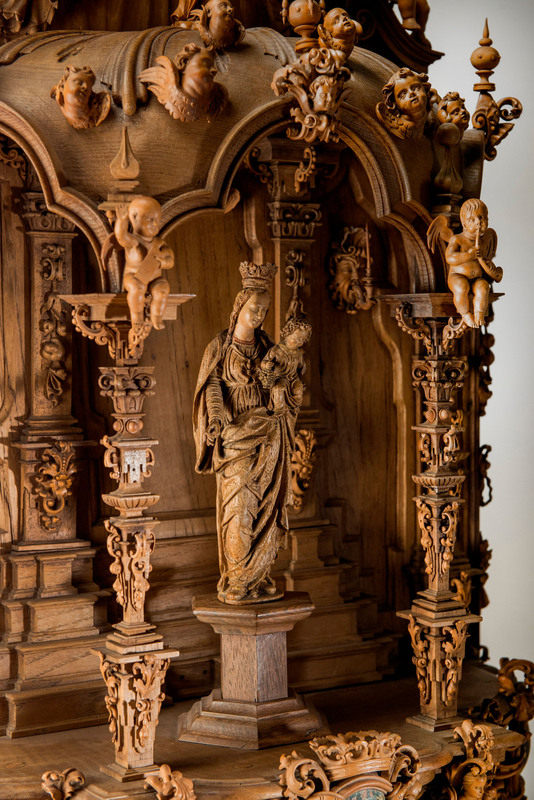 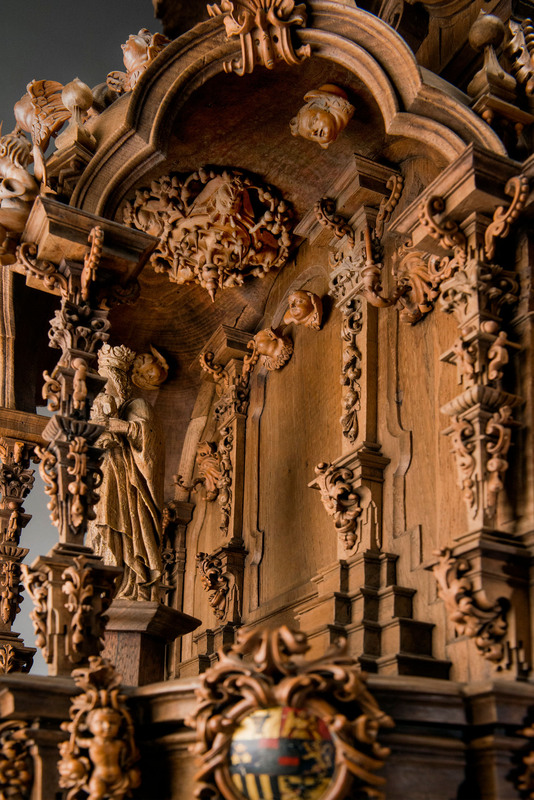 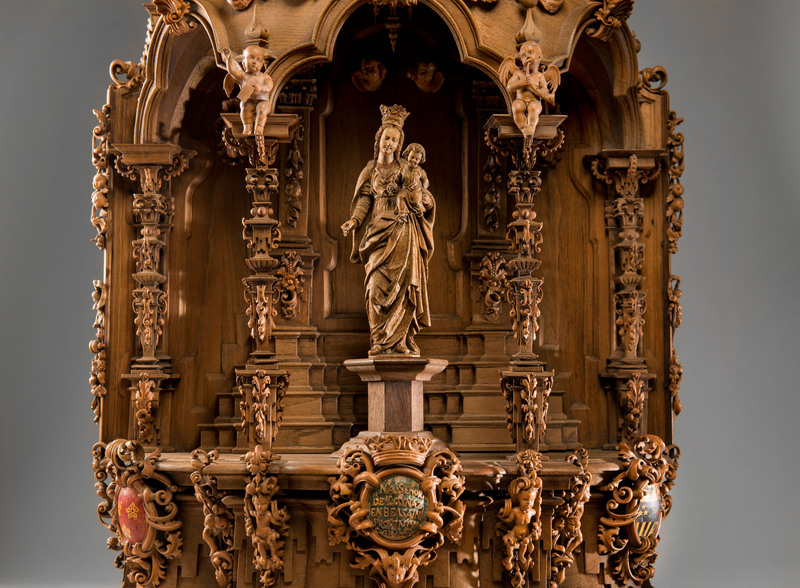 Referring to the Baroque tradition of Spanish Retablos, this work stands out for its extraordinary material quality and fine details which resulted in a real carving masterpiece. 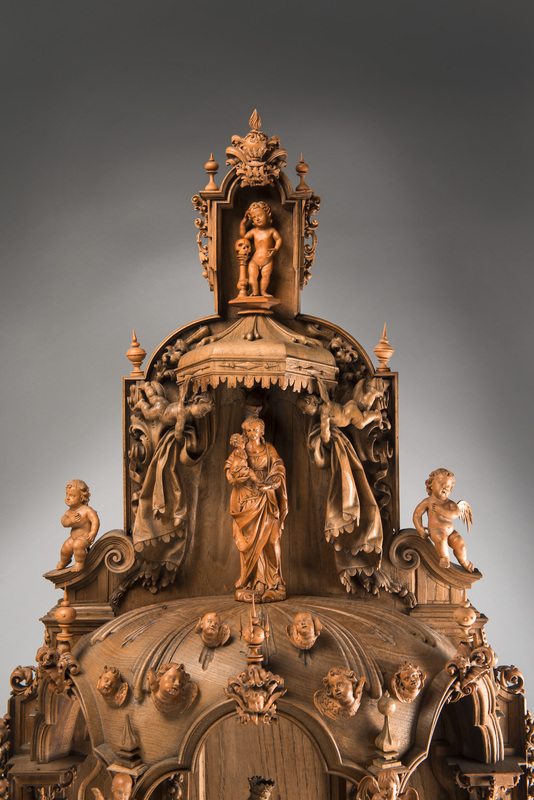 The author of this finely carved and signed work is Benito Alonso da Vila, the pupil of Antonio del Villar, the most important Galician sculptor of the XVIII century. 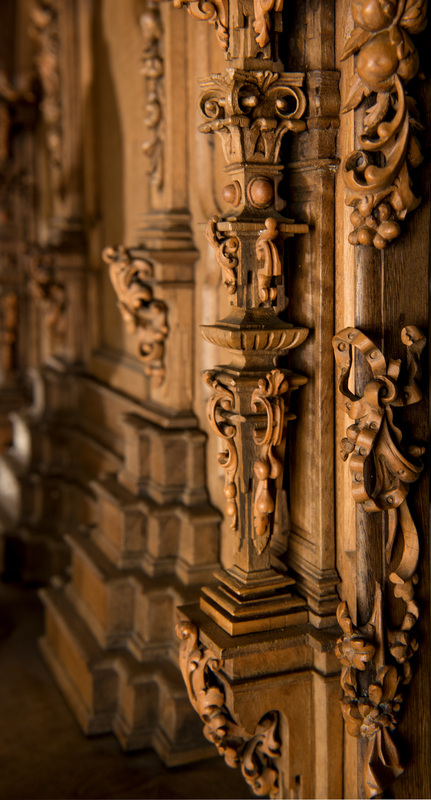 hitherto unpublished essay: Ivàn Rega, La Puerta del cielo.